June 12-14 & June 19-21: Become an ARM! The Greater New York Chapter of the Institute of Real Estate Management is conducting a course titled Accredited Residential Manager on June 412-14 & June 19-21 daily from 8:00 a.m. to 4:00 p.m. at ANHD, 50 Broad Street, Suite 1402, NYC. Successfully complete the class & exam and you’ll be an ARM! A standard calculator is required. Member price $1,298; non-member $1,590. Register 30 days prior to course start date and save $100! To register or for more information please visit iremnyc.org or call 212.944.9445. June 18: The Industrial and Office Real Estate Brokers Association of the New York Metropolitan Area (IOREBA), will host its annual Golf and Tennis Outing at the Morris County Country Club in Morristown, NJ. The Club features an 18-hole, par 70 course on 150 acres. IOREBA will host a buffet lunch, a cocktail open bar and dinner. This year the golf tournament will be a Shamble format, where golfers play their own ball from the foursome’s best drive. Check-in and registration begins at 11:00 a.m., with a 1:00 p.m. start for the tennis and golf tournaments. Open bar begins at 6:00 p.m., with dinner following at 6:30 p.m. Pre-registration and event sponsorship information can be found online at www.ioreba.com or by contacting Mr. Jeffrey Furey at 973-947-9242 or via email at Jeffrey.Furey@transwestern.com. Over 150 New York City real estate leaders joined together to raise money to fund research for neurofibromatosis (NF), a rare genetic for which there is no cure. The annual Texas Hold’em Charity Poker Tournament raised over $140,000. 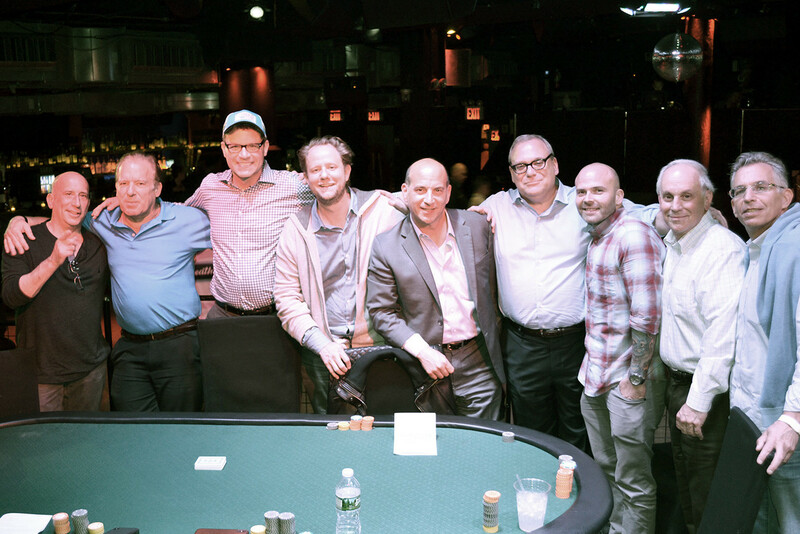 The grand prize, one seat in the 2018 World Series of Poker, was won by the now only two-time winner of the event, Scott Gottlieb, Vice Chairman, CBRE. He immediately donated the seat back to the Foundation, and Kenneth Goodkind, Shareholder, Flaster/Greenberg P.C., picked it up for an additional $10,000 donation to NF research. 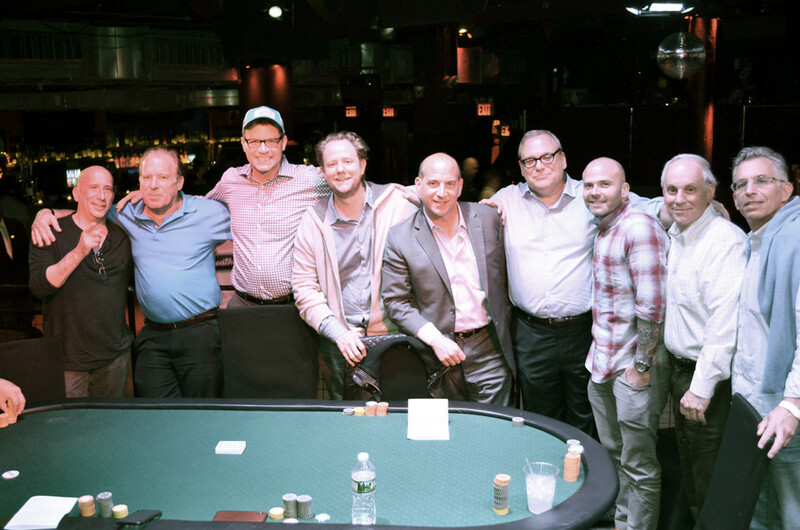 The final table included, from left to right, Jonathan Tolpin (M&T Bank), Kenneth Goodkind (Flaster Greenberg), Dan Altman (Belkin Burden Wenig & Goldman LLP), Luis Berenbau (Tacombi Restaurants), unnamed individual, Scott Gottlieb (CBRE), Mike Rubendall (Kings Avenue Tattoo), Bob Matza, and Larry Brown Not pictured Steven Victor/Ariel Bick (A&E Properties). For more information about the Children’s Tumor Foundation, please visit www.ctf.org. June 19: The Mortgage Bankers Association of New York will host its “4th Annual Strategic Real Estate and Lending Summit” at Fordham Law School Lincoln Center Campus, at 150 West 62nd Street in New York City. 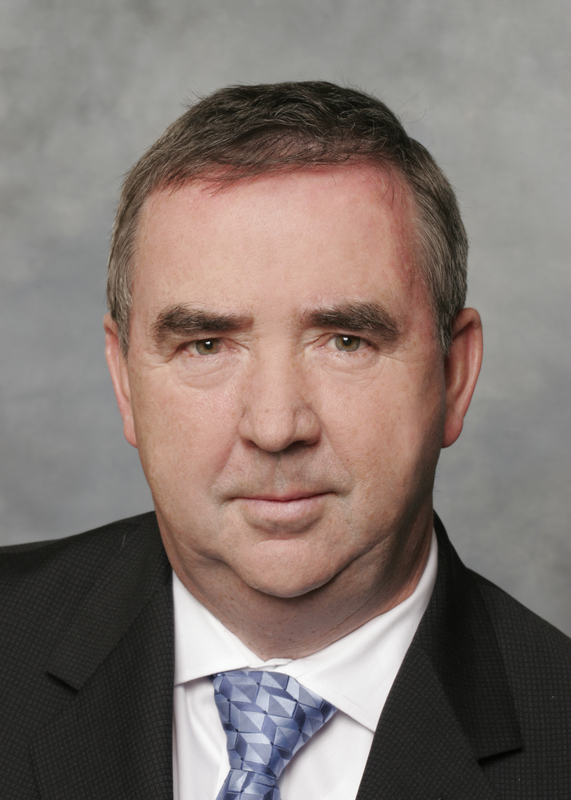 Sanford Herrick, founder and managing principal of Case Real Estate Capital will participate on the “Untapped Real Estate Markets: Alternative Lenders” panel at 2:45 p.m. For more information, please visit www.mbany.org. 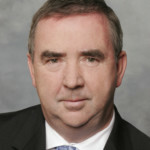 June 12: Connecting the Dots: The Supply and Demand Equation Across New York City Real Estate. 11:45 a.m. – 12:45 p.m. at New York Athletic Club. Laura Kusisto, U.S. housing reporter for the Wall Street Journal, will moderate a discussion with Howard Slatkin of the NYC Department of City Planning, Qahir Madhany of Blackstone, Meredith Marshall of BRP Development Corporation, Greg Heym of Terra Holdings, and Ace Watanasuparp of Citizens Bank. More than 200 golfers raised nearly $250,000 for breast health education on Long Island at the 23rd Annual Maurer Golf Classic at the Tam O’Shanter Country Club in Brookville and the Meadow Brook Club in Jericho. The event was organized by Maurer Foundation volunteer Jodee Sarisky, of Kaled Management, who herself is a breast cancer survivor. 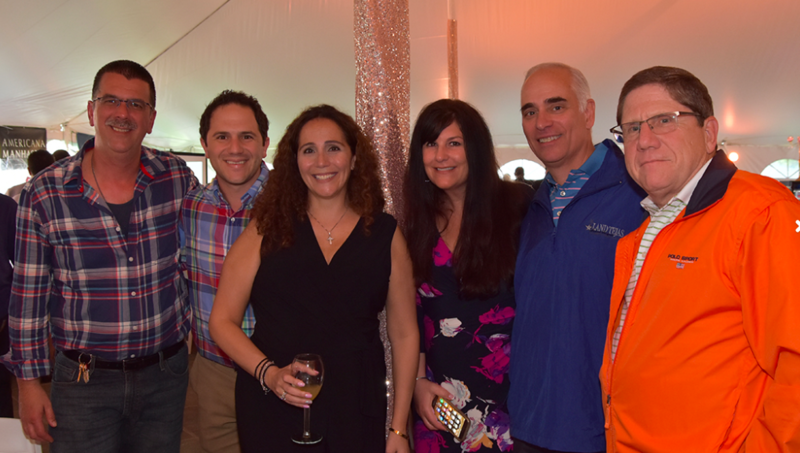 Pictured here Jodee Sarisky (third from right) is joined by co-workers Director of property management Peter Lehr, Vice President Greg Kalikow, property manager Julia Kodis, Chief Financial Officer Paul Attinello and President Ed Kalikow of Kaled Management. June 20: The CoreNet Global New York City Chapter (CoreNet NYC) is pleased to announce that the organization will host its annual Young Leaders’ Meet and Greet at the Rare View Murray Hill rooftop garden bar at 303 Lexington Avenue at 37 th Street. The networking event will be held from 5:30 to 8 pm on Wednesday, June 20, 2018. June 21: To kick off summer, Grand Central Partnership is throwing the first ever free Summer Solstice Music Festival on 6/21 with live music on the plazas along Park Avenue from 39th to 52nd Streets, 4-8 p.m.. There will be jazz, classical, hits of the ‘60s, ‘70s,’80s, latin soul. GCP – which is responsible for keeping a 70-block area in Greater East Midtown beautiful and thriving – has developed an interactive neighborhood map to explore all there is to do in the area.